The proper name of the Knights of St John is the Sovereign and Military Order of the Knights Hospitaler of St John of Jerusalem - the Knights of St John, the Knights of Rhodes, the Knights of Malta, and the Knights Hospitalers. 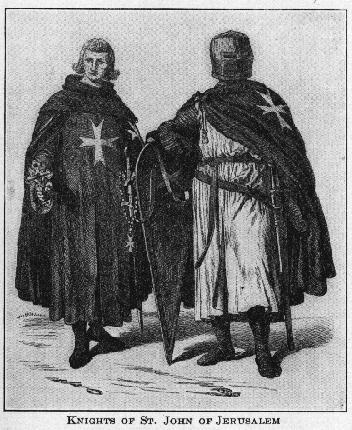 Knights of St. John (1530 - 1798) On 23 March 1530, the islands passed under the Knights of Saint John of Jerusalem, a chivalrous religious order initiated in 1099 and officially founded in Jerusalem in 1113. According to the chronicles, merchants from the ancient Marine Republic of Amalfi obtained from the Caliph of Egypt the authorization to build a church, convent and hospital in Jerusalem, to care for pilgrims of any religious faith or race. With the loss of Acre, the last Christian stronghold in the Holy Land, to the Moslems in 1291, the Order settled first in Cyprus and then, in 1310, led by the Grand Master Fra' Foulques de Villaret, on the island of Rhodes. Rhodes acted as a shield against the Turks for two centuries until 1522 when Suleiman the Magnificent ousted the Knights from Rhodes. After six months of siege and fierce combats against the fleet and army of Sultan Soliman the Magnificent, the Knights were forced to surrender in 1523. They left Rhodes with military honours. The Order remained without a territory of its own until 1530, when the Grand Master Fra' Philippe de Villiers de l'Isle Adam took possession of the island of Malta, a gift of the Emperor Charles V with the approval of Pope Clement VII. It was established that the Order should remain neutral in any war between Christian nations. The Knights of Malta at once resumed the manner of life they had already practiced for two centuries at Rhodes. With a fleet which did not number more than seven galleys they resisted the Barbary pirates who infested the western basin of the Mediterranean. They formed a valuable contingent during the great expeditions of Charles V against Tunis and Algiers. Arab forces were becoming increasingly aggressive and moving west. Christians captured in these raids were being sold for ransom or as slaves. Short of funds, the Knights and Maltese become corsairs - a kind of pirate - attacking towns in North Africa and Turkish shipping. The Knights of Malta gave chase to the Turkish galleys. These enterprises did not fail to draw upon them fresh attacks from the Ottomans. Solyman II, regretting his generosity, gathered a second time all forces of his empire to dislodge the Christian corsairs from their retreat. In revenge, Suleyman the Magnificent raided Gozo and sold all 5000 inhabitants into slavery. In July of 1551, the Citadel was besieged by the Turks of Sinan Pasha. The medieval walls without flanks and terreplein to resist gunpowder bombardment were easy prey to besiegers and the fortifications soon succumbed. A tombstone in the local cathedral conveys some of the horror in its commemoration of the nobleman Bernardo Dupuo, who died fighting the Turkish priates, after killing his own wife and daughters to save them from slavery and concubinage, two fates worse than death. After the terror of 1551, recovery was slow and painful. Some Gozitan slaves were traced and ransomed, but life was shattered and families left permanently split asunder, their various members sold to different owners in far-off lands. In 1565, hearing of a massive build-up of troops in Constantinople, the Order sent out urgent appeals to Christian rulers for help in what they sensed would shortly become a do-or-die combat; at this time Grand Master de Valette had only eight war galleys and 8,000 men at his command. The siege at Rhodes had taught the Knights to leave the countryside bare of people, animals and crops, and turn the fortifiable points into war cities, fully stocked with food, water and ammunition. As the inland capital of Mdinaseemed vulnerable, Malta's defence rested defence rested ultimately on the Grand Harbour complex, particularly St Elmo fort at the seaward end of Mount Sceberras (now Valletta), St Angelo fort at the tip of Birgu (now Vittoriosa), and St Michael's fort on the Senglea promontory. On may 18th, 1565, a Turkish fleet of 138 galleys approached the island. About 38,000 men disembarked at Marsaxlokk and eleven days later, another 3,000 men from another 38 ships joined them. The men were led by Dragut and the Bey of Algiers. The siege started with an attack on Fort St. Elmo. It is said that over sixty thousand cannon-balls were fired during the attack. Dragut was killed during the assault on the Fort. Facing them on Malta were no more than 8000, of whom 700 were Knights and the rest were Maltese or mercenaries. They took refuge in Mdina and Birgu. 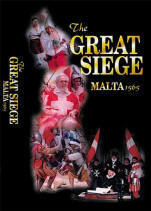 The First Great Siege of Malta had begun. The siege of Malta, quite as famous as that of Rhodes, lasted for four months. The Turks had already taken possession of a part of the island, destroying nearly the whole of the old city, slaying half the knights and almost 8000 soldiers, when Malta was delivered by an army of relief from Spain. The advance force from Sicily arrived despite the fate of St Elmo. It numbered only 600 men but, achieving surprise, it made a vital difference. The Knights, their luck holding out, were warned by a Turkish deserter about a plan for Senglea to be attacked from the south, and this gave the Order time to build a line of defensive stakes which successfully repulsed the attack. Requests for assistance were smuggled repeatedly out of the island. The Maltese were one with the Knights, determined, whatever the cost, to be rid of the Turkish invader-though of the nobles there is barely a word in contemporary records; presumably they sat it out in their palaces in Mdina. The main relief force set out at last from Syracuse with 8,000 Spanish and Italian soldiers, the dispirited Turks sailed home with only a quarter of their army intact, leaving Malta to its tattered peace. Malta had lost 219 Knights and 9,000 inhabitants, yet de Valette's genius quickly rekindled the islanders' spirit with a massive peacetime project; the building of a fortified city. 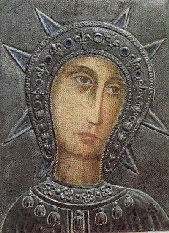 Throughout our Order, the birthday of Madonna on Mount Phileremos is kept with great solemnity in thanksgiving for the raising of the Turkish siege of Malta on 8 September 1565. A new capital of Malta had to be built, Valletta was named in honor of the Grand Master Jean Parisot de la Valetta under whose inspired guidance the Knights and the Maltese had defied the Turkish onslaught. Malta, however, was not rid of its most dangerous adversary until the battle of Lepanto (1571) which dealt the Ottoman fleet a fatal blow. The Knights quickly improved trade and commerce on the islands, built new hospitals and, most importantly, erected new strong fortifications. This spurred Grand Master de la Valette to build the City of Valletta and its now historic bastions and palaces. Valletta has been declared a World Heritage Site by the United Nations. The Knights of St. John had successfully protected Southern Europe and Christendom. After their victory against the Turks, the Knights turned enthusiastically to the further development of Malta and Gozo. 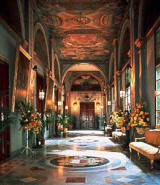 A golden era in culture, architecture and the arts followed. Many of Malta's most attractive building were built during this period. The new remarkable fortress city, Valletta, was built. Valletta is one of the earliest examples of a planned city built on the grid system. The Knights of St. John, coming as they did from the richest families in Europe, could afford to hire the best talent available and the buildings of Valletta, its fortifications and the art treasures in its museums and churches, are the work of the best European engineers and artists of the time. It was the magnificence of is palaces and other treasures that led Sir Walter Scott to describe Valletta as "The city built by gentlemen for gentlemen." The Order was governed by the Grand Master (the Prince of Rhodes) and the Council, minted its own money and maintained diplomatic relations with other States. The high offices of the Order were given to representatives of different Langues; and the seat of the Order, the Convent, was composed of various nationalities. The fall of the Ottoman Empire marked the beginning of the end of the military vocation of the Order. However, the absence of a serious military threat to the Order's existence, and their increasing wealth, arrogance, lack of discipline and debauchery, ate into the moral fabric of the Order. Eventually, serious problems undermined the Knights' position; tensions grew between the Church and the Knights. The poorer Maltese became resentful. For their part, the Knights became complacent and insular. When Muslim shipping targets became harder to find, and when revolution broke out in France removing a valuable source of income by the confiscation of the Order's property, funds became a problem. Grand Master Emmanuel de Rohan (1775-97) provided money for Louis XVI's doomed attempt to escape from Pair. By the late 18th century around 75% of the Order's income came from the Knights of the French langue, so when the revolutionary authorities confiscated all o the Order's properties and estates in France, the Order was left in dire financial straits. French 1798-1800 On June 12th, Napoleon entered Valletta bringing to an end 268 years of rule by the Knights of St. John. As a ruse, Napoleon had asked for safe harbor to resupply his ships then enroute to Egypt, and then turned against his hosts once safely inside Valetta. Grand Master Ferdinand von Hompesch failed to anticipate or prepare for this threat, provided no effective leadership, and readily capitulated to Napoleon. The Knights, because of the Rule of the Order that prohibited them to raise weapons against other Christians, were forced to leave Malta. 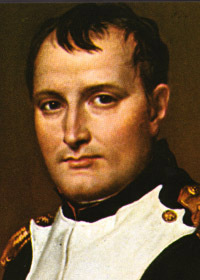 Napoleon spent six eventful days in Malta during which, through numerous edicts, he tried to transform the island into a typical "Department" of France. It is also considered the most likely time for his initiation into Freemasonry. In 1800 the British occupied Malta, but although the sovereign rights of the Order in the island of Malta had been recognized with the Treaty of Amiens (1802), the Order was never allowed to return to Malta, although the French knights were allowed to remain German Grand Master Ferdinand von Hompesch (1797-98) was given three days to gather belongings and vacate the island. The Order continued to exist in a diminished form and negotiated with European governments for a return to power. The Emperor of Russia gave the largest number of Knights shelter in St Petersburg and this gave rise to the Russian tradition of the Knights Hospitaller and recognition within the Russian Imperial Orders. Napoleon appointed his brothers to Masonic office: [clockwise] Louis (1778/08/02 - 1846/07/25) was named Deputy Grand Master in 1805; Jerome (1784/11/15 - 1860/06/24) was Grand Master of the Grand Orient Westphalia; the eldest, Joseph (1768/01/07- 1844/07/28), was made a freemason at the Tuilleries in April of 1805, and appointed Grand Master of the Grand Orient of France; and Lucien (1775/05/21 - 1840/06/29) was a member of the Grand Orient of France. Napoleon departed for Egypt, weighted down with much in looted treasure from the many palaces and churches of the Knights. Most of these treasures were lost at sea and have never been recovered following the battle a few months later when the British Navy under Admiral Nelson destroyed the French fleet at the Battle of the Nile. The sunken treasure has not yet been found. The Treaty of Amiens (March 1802) provided for the return of Malta to the Knights but the Maltese appealed to the British to stay to prevent their return to governance. The British were inclined to allow the Knights to return despite appeals from the Maltese when war again broke out with France in May 1803. the strategic importance of Malta was underscored by Admiral Nelson who had previously been indifferent to British presence on Malta. "I now declare that I consider Malta as a most important outwork...I hope we shall never give it up." he wrote. Emperor Paul I, Grand Master Order of St. John, 1798-1801. The Emperor of Russia Paul I was murdered in 1801 after coming to the aid of the Knights of Malta. After having temporarily resided in Messina, Catania and Ferrara, in 1834 the Order settled in Rome, where it owned the Palace of Malta in Via Condotti 68 and the Villa on the Aventine, both of which have extraterritoriality status. From then, the original hospitaller mission became the main activity of the Order, and grew stronger throughout the last century, especially because of the contribution of the activities carried out by the Grand priories and National Associations in the various countries of the world. French rule in Malta, was short-lived. By 1800 the Maltese, with the help of Nelson, drove the French garrison out of Malta and sought the protection of the British throne. British (1800 - 1964) Malta and Gozo became formally a British Crown Colony in 1813 and the island was slowly transformed into a fortress colony. Once again, the tide turned in Malta'a favour. But not before King George VI made a gesture unique in history. On the 15th April, 1942 he awarded the George Cross to the Maltese Nation, an honour still proudly borne by the Maltese on their flag. Both General Dwight D. Eisenhower and President Franklin Delano Roosevelt were visitors to the island and FDR paid tribute to the Maltese people for their valorous service to the war effort by presenting a plaque on December 8th, 1943. Malta became independent in 1964 and adopted a Republican Constitution in 1974. Malta joined the European Union on May1, 2004. It is expected to adopt the Euro as its currency sometime in 2008. It's position on abortion finds Malta by itself as the most religiously conservative with the only total prohibition [malta+prohibition google search] Malta will no doubt serve the rest of the Western world well as it attempts to reconcile its deeply felt spiritual values with its history as a harbinger of the new ages.